Excellent hairstyle makes a bride look sterling and also speaks more about her character. How do you choose the right hairstyle for you on your wedding day? It will depend on the texture, volume, and length of your hair. Sometimes your age is also a significant determinant of the kind of favorable style for you. A combination of all will, however, give you the outcome you have longed to have all these years. Ladies with long hair have a more significant advantage to different types of hairstyles. It is because the hair can be held in a different position and make yet give the desired results. However, ladies with medium and short hair still have a variety of styles to select from their stylist. You can hold your hair in different kind of buns and use other accessories accordingly. A good curl up hairstyle is a recommended choice for long hair. The style is excellent for girls with enormous volumes of hair. Ladies with less hair can try other buns like the side bun or milkmaid bun among others. There are more styles where you can leave the hair loose with curls yet look amazingly good. There are several ways you can hold up your medium length hair or let it loose on the wedding day. Bob natural curls are one style that is excellent. You can choose a half up and half down hairstyle depending on your shape. You can want to have your hair ending around the shoulder or collarbone also known as the Curly Lob. 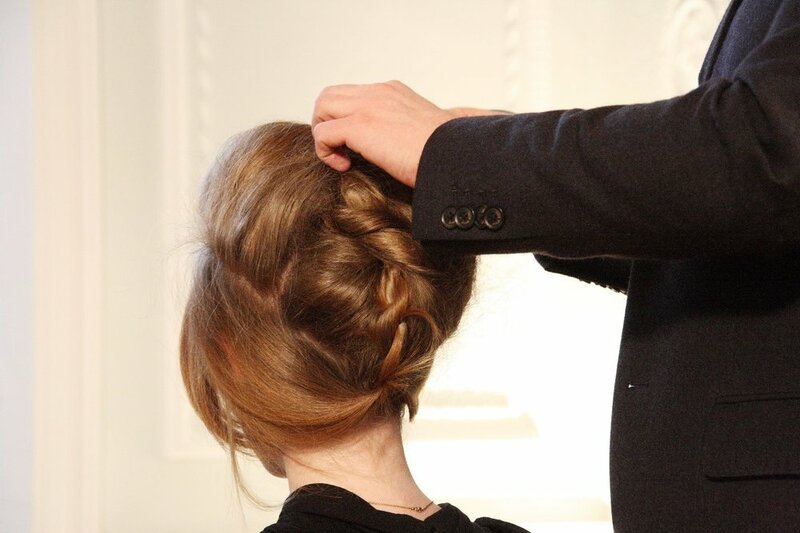 All techniques require a professional touch, but the age groups will differ on the choice of hairstyle to have on the wedding day. Younger ladies may want something vibrant to display their youthful age while the elderly will want to look excellent in their modern styles. Sometimes, and individuals character may turn tables on the choice of hairstyle. Not only women with long hair have a great hairdo. The length of your hair is styled to give you a final look that makes heads turn. Choosing a professional hairstylist is the ultimate choice to make first before settling on your perfect choice of style.